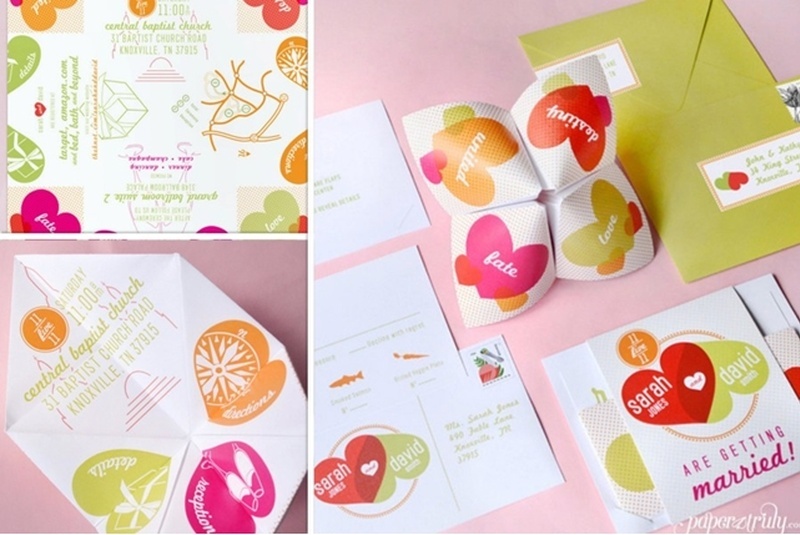 10 Super-Creative Wedding Invite Ideas You Need To Check Out! Ever wanted to be on the front page? Boardgame wedding invites are so much fun! Credit card on love, maybe? Boarding passes! Perfect for a destination wedding. Caricature invites are so personalised and cute. Let the world listen to your tunes of love with this CD invite. If your relationship was built over text messages. Love at First Swipe: 5 Tinder Stories That Ended In A Wedding!